On Thursday 27 September, Year 8 and Year 10 had their respective Justice Partnership Days – a time to raise funds and awareness for the cohorts’ Justice Partners. Year 8 held a Walkathon to raise funds for Caritas supporting their work which has been discussed over the term. 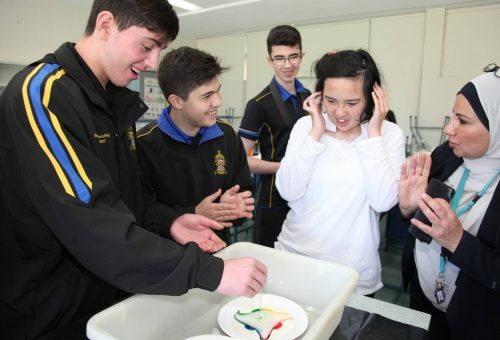 Also, after many Year 10 students have spent each Wednesday afternoon throughout the year at Chalmers Rd School, we invited their students to the College to engage in different activities involving Science, Art, Music and Sport with us. A great day was had by all, including a joint BBQ lunch. Everybody engaged as friends and learned a lot about difference and the need to support others. We look forward to our continued work with and for our Justice Partners.